This is simple and clean and I love it. 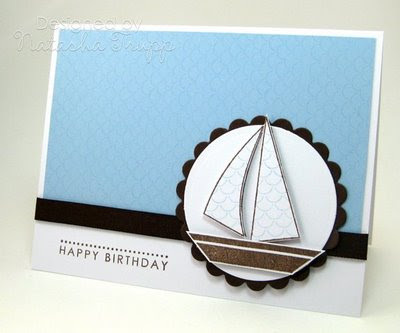 The sailboat is so nice. Great card!